The January 2009 Ukraine-Russia gas crisis demonstrated the costs of neglecting to develop a viable European Union (EU) energy policy. For the affected countries, the severity and scope of the shut-off was unprecedented in the Post-Communist era. Despite progress in recent years towards greater integration and cooperation in the energy sphere, the EU ultimately failed to provide the most basic of public goods to millions of its citizens: warmth in winter. This failure resulted from an over-reliance on Russian energy supplies, insufficient import alternatives and a lack of the institutional and physical infrastructure necessary to coordinate a European-wide response. The absence of a unified energy policy likewise created perverse incentives for member states to undercut the EU during a time of crisis. A danger exists that governments will continue to pay public deference to energy solidarity while taking unilateral action to provide for their individual security. Going forward, the temptation to strike self-serving bargains with the Kremlin may be stronger than ever, especially if Russia promises that, next time, their gas deliveries will be guaranteed. One way or the other, Europe's vulnerable energy markets will adapt to these pressures. The challenge is to offer the states that are most dependent on Russian imports a workable approach to a common need: stability of supply and support from their neighbors in a time of trouble. If the EU is to secure a viable energy future, member states must develop a robust policy response based on the framework of collective energy security. It is often overlooked, however, that the framework for this approach already exists within the governing structures of the EU. The key is to make the most of the EU's allowance for "enhanced cooperation" within the Union. Emerging in the late 1990s, enhanced cooperation envisioned the creation of an institutional avant-garde or pioneer group, consisting of Germany, France, Italy and others. Pioneer groups could blaze a trail to increased integration, if the size or complexity of a problem made participation by the entire Union unwieldy or unfeasible. While the idea was enshrined in the Treaty of Nice, and further expanded in the Treaty of Lisbon, the EU has never used this tool to its full advantage. In the energy sphere, an enhanced cooperation agreement would build on the EU’s founding vision for a more unified Union and the creation of the European Coal and Steel Community. That initiative was based upon a basic need to unify the strategic interests of disparate states towards a common market. In the current context, an energy security pioneer group would allow the countries which are most vulnerable to Russian dependence an opportunity to better coordinate a collective response to a shared security dilemma. This process would not foreclose the possibility of an eventual unified European policy, but allow for a bottom-up, organic initiative until a long-term solution matures. In practical terms, members of an enhanced cooperation agreement would be united through a collective energy security pact. The principles of collective defense, or collective security, are already well-established in Europe. Indeed, NATO has provided the foundation of European military security for decades. Modeled on Article 5 of the North Atlantic Treaty, members of an energy security pact would commit themselves – and their respective energy supplies – to support each other in a time of crisis. This initiative would build on the Czech Republic’s current agenda for the rotating EU presidency to: (1) build a Southern energy corridor, (2) expand links with non-Russian suppliers in the Caspian, and (3) develop a European network of interlinking pipelines. Achieving this ambitious plan, however, will require the Czechs and other diversification-minded member states to overcome some key challenges. Above all, the 2009 gas crisis demonstrated the weakness of the EU’s integrationist philosophy once people began to freeze. Indeed, some member states exhibited an alarming willingness to bypass the EU altogether and engage Moscow directly. During the height of the crisis, Vladimir Putin entertained plaintive visits from Bulgarian Premier Sergey Stanishev and German Chancellor Angela Merkel. Slovakia openly considered restarting its mothballed nuclear reactor, an act which would have violated the country's EU accesssion agreement. All the while, Brussels struggled to determine just who, in fact, was responsible for the shut-off. The push to re-establish the flow of gas remained beyond the EU's diplomatic reach. The absence of a workable energy policy leaves many EU members without an alternative to this type of go-it-alone approach. Countries like Germany and Italy are representative of the trend. As demand for natural gas rises in the coming decades, Berlin and Rome have calculated that they will increasingly need to compete with their neighbors for limited, non-renewable energy resources. If Gazprom’s current decline in natural gas production continues, then direct links to Siberian gas fields could offer a competitive advantage. By avoiding multiple transit countries, Germany and Italy also hope to eliminate the risk of disruptions similar to the recent Ukraine-Russia dispute. This approach, however, is likely to prove counter-productive. It will ultimately decrease supply diversification within the EU and solidify Europe's over-reliance on Russian imports. In Germany, the drive to provide for its own long-term energy needs has also created the potential for conflict between the country's traditional role in the vanguard of European integration and new concerns for ruffling the feathers of its Russian partners. During his final days in office, Chancellor Gerhard Schröder committed Germany to $1.3 billion in loan guarantees for Gazprom’s Nord Stream pipeline through the Baltic Sea. At the height of the Ukraine-Russia gas dispute, Prime Minster Putin appeared in public with Schröder, attributing the shut-off of European gas deliveries to a "political collapse" in Kiev. In his current role as chairman of the Nord Stream shareholder committee, and now a director of TNK-BP, Schröder has come to exemplify the new politics of energy, which increasingly drive Russo-German relations. Consequently, a collective energy security pioneer group will either have to co-opt Germany or flank it. Thankfully, the Lisbon Treaty’s guidelines for enhanced cooperation make this possible. As part of a collective energy security pact (an energy Article 5), members can announce their intention to create a pioneer group and seek approval from the Council. The Lisbon Treaty states that, "All members of the Council may participate" in the deliberations of the enhanced cooperation group, but "only members of the Council representing the member states participating in enhanced cooperation shall take part in the vote." If Germany does not wish to participate in a vanguard energy security initiative, it is fee to abstain. However, inclusion in the project may prove irresistible for Berlin if the alternative is to stand on the sidelines as its neighbors take the lead on integration. Strong in the support of their fellow Europeans, and confident in the strength of an enhanced cooperation agreement, individual governments would feel less pressure to deal bilaterally with Moscow or violate long-standing commitments to the Union. In addition, an energy security pioneer group would be well positioned to coordinate the construction of the physical infrastructure necessary to integrate the EU energy market and expand the range of import alternatives. New infrastructure is needed to improve links between transport networks in Europe and soften the blow of wide-spread supply disruptions. During the height of the recent crisis, some EU members demonstrated a strong instinctive tendency toward cooperation in this area. Greece agreed to provide Bulgaria with emergency supplies totaling 2.5 million cubic meters of natural gas per day. The Czech Republic relied on Germany to move extra shipments from Norway. Poland provided relief supplies to Slovakia. Hungary directed needed gas to the Balkans. Lasting energy security is possible when ad hoc crisis cooperation is codified in a collective energy security pact. Supply disruptions to one member(s) would be treated as a supply disruption to all members. This pact would strengthen the strategic alignment of an enhanced cooperation agreement within the EU and limit the temptation for countries to hedge with bilateral Russian deals. Backed by a European-wide transport network and alternative upstream supplies, Europe could begin to break the trend of increased dependence on Kremlin-controlled energy. Across the Atlantic, the United States has a vital and necessary role to play in the development of a collective energy security initiative in Europe. At last year's U.S.-EU Summit, for example, both sides pledged to work in tandem to strengthen the transatlantic partnership on energy. 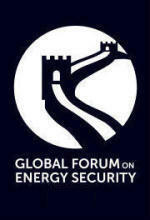 On the question of energy security, the EU and United States declared their joint desire to "[increase] competition in energy markets and [promote] market-based solutions to diversify the development and transit of energy resources to the global market, including full implementation of the G8 St. Petersburg principles." In light of recent events, a review of the St. Petersburg principles is instructive, since it committed Russia to uphold delivery contracts, diversify upstream supply, conduct business within a transparent regulatory framework and discourage corruption in the energy sphere. Looking ahead, the United States has a compelling interest to help European countries diversify import options, limit the corrosive influence of non-transparent business practices and prevent external energy partnerships from inappropriately influencing state policy. This is a truly complex challenge. But the United States and Europe have overcome greater challenges before. In fact, the United States has championed some of the most difficult multilateral initiatives in the history of post-World War II Europe. From the creation of NATO and the initiation of the Helsinki Process to the intervention in Kosovo and construction of the Baku-Tbilisi-Ceyhan (BTC) pipeline, the United States has frequently played the role of midwife to successful transatlantic endeavors. In Washington, influential figures like Senator Richard Lugar have tried to build on this success by proposing an expanded role for NATO in the area of energy security. At the 2006 Summit in Riga, NATO members agreed to explore the idea in greater detail. At face value, the proposal has many strengths, especially as energy security and national security are increasingly interconnected. 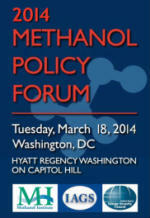 First, it would clarify America's role as a partner in European energy security. Second, it would build on NATO's existing capacity to ensure the physical security of vital pipelines and transport routes. However, as NATO Secretary General Jaap de Hoop Scheffer rightly cautioned in 2008, "NATO is not an economic organization." As witnessed in the 2009 gas crisis, many of Europe's most immediate energy concerns are as basic as connecting demand with reliable supplies. In this regard, NATO may not be the most effective tool in the transatlantic toolbox. In the new administration, U.S. Secretary of State Hillary Clinton has already signaled a desire to engage Europe on the question of energy security. "With respect to Russia and its interactions with Ukraine, Georgia, other European countries, its recent purchase of the Serbian gas utility, I hope we can make progress with our friends in NATO and the EU to understand that we do need a broader framework in which we can talk about energy security issues," she told the Senate. "It may or may not be Article 5 [of the North Atlantic Treaty], but I certainly think it is a significant security challenge that we ignore at our peril." In this regard, a European collective energy security agreement would offer the United States and Europe the chance to do more than talk. In the wake of the 2009 gas crisis, many of the EU's official documents on energy security seem awkwardly out of date, especially those that stress the need to prevent future short-falls or supply disruptions. 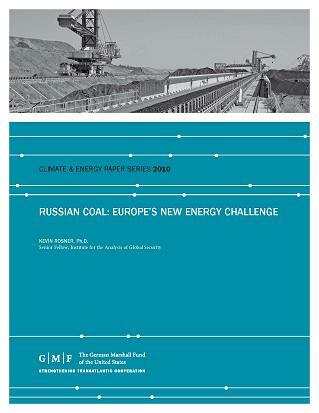 The danger of Europe's over-reliance on Russian energy imports is no longer a speculative issue. Instead of pursuing greater dependence on Kremlin-controlled imports, Europe must act quickly to coordinate a collective response to its shared energy security dilemma. If an EU-wide policy is unfeasible, then an energy security pioneer group will encourage Europe’s most vulnerable energy markets to rally around the motto, "We must all hang together or we will assuredly hang separately." This kind of enhanced cooperation offers one of the few feasible alternatives to the go-it-alone approach that has characterized Europe's response to date. Under the Treaty of Lisbon, members could technically establish an enhanced cooperation group on energy in as little as four months. A collective energy security pact, however, should constitute the core component of any cooperation agreement. EU guidelines require that at least nine countries agree to work together under the aegis of enhanced cooperation. The most natural candidates would be those states that tend to be disproportionately affected by Russian shut-offs – i.e., the new EU member states of Central Europe (Bulgaria, Czech Republic, Estonia, Hungary, Latvia, Lithuania, Poland, Slovakia, Slovenia and Romania). The inclusion of Austria, Greece, Finland or the Netherlands, countries which are also heavily dependent on Russian imports or gas producers themselves, would further strengthen the group’s influence within the EU. Obviously, an undertaking of this magnitude would require a considerable measure of innovation and leadership. Countries like the Czech Republic and Poland have already demonstrated their determination to engage the EU on many of the most important, and often controversial, challenges facing the Union. As a midwife to successful transatlantic initiatives in the past, the United States now has a unique role to play in rallying support for a new approach to energy security. This role would be similar to America’s contribution to the creation of the European Coal and Steel Community, and more recently, the early formation of the Visegrad Group. If Washington fails to engage Europe's need for collective energy security, then the Kremlin’s drive to control strategic assets inside the EU will raise the baseline risk for inappropriate political influence in the affairs of close allies. The clock is ticking. But collective energy security could help to bridge the gap between where Europe is today and where it needs to be for a viable energy future. 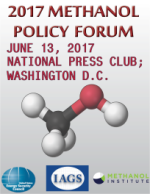 Peter B. Doran is the lead researcher for energy security at the Center for European Policy Analysis in Washington, DC. He serves as Managing Editor of the Central European Digest.